TMJ stands for temporomandibular joint, its the jaw joint or hinge that connects your bottom jaw to your skull. You have a temporomandibular joint on each side of your jaw; right side, left side. 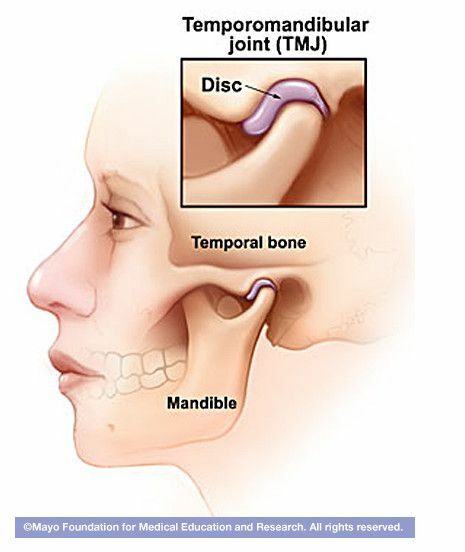 The temporomandibular joint is formed by your temporal bone of your skull, the jawbone, and various jaw muscles. In between the two bones is a small space that contains a disc or cushion that helps provides a smooth, painless motion when you open, close, and move your jaw side to side. TMJ refers to the anatomy of the temporomandibular joint itself. People who experience symptoms associated with the function of the temporomandibular joint are diagnosed and treated for TMD, a temporomandibular joint disorder. Temporomandibular joint disorder (TMD) impacts an estimated 12% of Americans at any given time (source: TMJA Association). Most TMD symptoms are short term can be self managed. There is not one single definitive cause for temporomandibular disorders. Several studies have concluded that temporomandibular joint disorders impact women more than men. Symptoms most often arise from problems associated with the anatomy of the TMJ, the disc between the bone joints, and/or its surrounding muscles. Stress and/or injury including whiplash can cause jaw muscles to contract and/or spasm and cause pain. People who grind and/or clench their teeth have higher incidence of TMD. If symptoms persist for more than 2 weeks, it’s best to schedule a dental examination with your dentist. While there is no definitive cause of TMD disorders, effective stress management and daily exercise are popular recommendations to help alleviate temporomandibular joint discomfort. Why? People who do not manage stress have a higher incidence of teeth grinding and/or teeth clenching habits, both of which cause the facial muscles to tighten and can contribute to temporomandibular joint symptoms. Stress is a primary contributing factor of TMJ disorders. can lead to painful muscle spasms, teeth grinding and/or clenching of the teeth during sleep, limit your ability to open and close your jaw, tenderness while chewing, and often tension or migraine headaches. Once your dentist evaluates your temporomandibular joint, he/she can show you various stretches or exercises to help you self manage your symptoms. Your dentist may also recommend to fabricate a custom mouthguard to help prevent teeth grinding and/or clenching during sleep. TMD dentists may also discuss the option to fabricate a custom bite splint. TMJ dentists may also discuss alternative treatment options including acupuncture, chiropractic care, and even order a sleep apnea study. These three disciplines often supplement and are in addition to traditional TMD treatments. TMD symptoms often extend beyond the head. Many of your facial muscles that assist in chewing originate from the neck or shoulder area. These alternative options may help provide additional relief to areas of the body near the head. TMJ specialist dentists will propose surgery after all other treatment options have been explored. 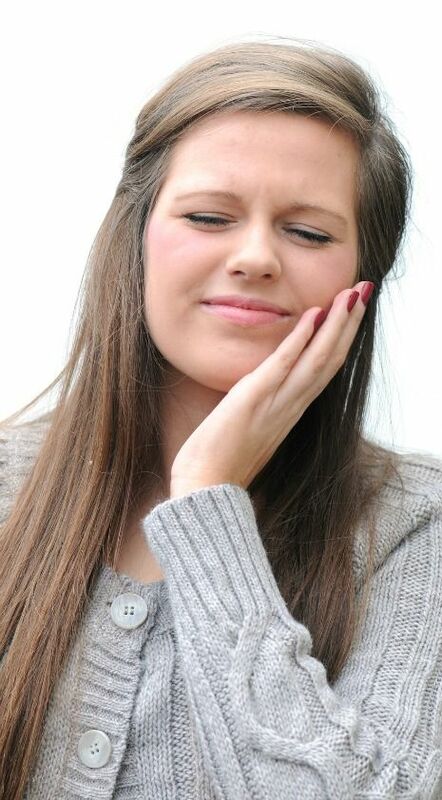 Temporomandibular surgery is invasive and results in a long recovery period. Please call (763) 586-9988 or click to request an appointment if you or a loved one is experiencing TMJ related symptoms.